Abi has her own problems as she and Seb have to say a final farewell to the twins who are being adopted. Abi is undoubtedly being realistic of her abilities but it is heart wrenching for viewers as mother and son hug them for the last time. Seb is feeling the loss of his siblings badly and decides that he has no good reason to keep "secrets" so Gary is told that Sarah lied (above) and had a drink with Adam and Seb explains how he ended up with a black eye as he got between Adam and Sarah. Adan denies sleeping with Sarah. Sarah explains to Gary that she would never have let anything happen with Adam - but she is finding the presence of Nicola (who is back on the Street) difficult. Gary and Sarah are reconciled at least for now. Talking of Adam his interaction with Seb and Gary leads to some deep thinking and he goes into the Bistro for a therapy session with Daniel. He abandons his drink on the bar - although we do discover that Sinead will be home shortly. Daniel later takes a break and returns to the flat to find Adam has packed his bag, Imran is going to cover with clients and Adam has determined he is off on holiday to see friends in Italy and he will be gone for a few weeks. Sarah-Lou sees Adam leave and the look on her face (above) implies to me that perhaps she will be glad when Adam returns, preferably without female company! Gemma apologises to Chesney for calling him a creep when he orders a cheese pasty and a can of pop which is her favourite breakfast order. Later she has been wound up by her brother and Ches holds her hand whilst consoling her (above) - with Emma present. The latter can see the writing is on the wall - despite all that has been said there is a bond between the Prima Doner cow-orkers which she is failing to get between. Sally has been found not guilty and her record is clean. She mops up Abi in the Rovers taking her home to feed her some shepherds pie. Abi admits she has met a bloke (but not who of course) and that she is not sure which of them is using the other; both manage another helping at the end of the episode. How is Paul winding up Gizmo (Gemma)? First he charms the Reet; then he mends the kebab shop till and amidst reports that Summer has misplaced her iPad leads Gemma to accuse Paul of stealing it. We know Gemma has sought to change her ways since joining full time and once again Paul tells Gemma that he is also trying to reform - he spent the day helping Billy with White Elephants - and he wants to know why they are white - surely pink or orange elephants would be even more valuable? When half of the Rovers reaches for their mobiles to work out why Paul calls them out on it (above) saying that instant online access to information is ruining good old fashioned pub chats. Shamefacedly they all put their mobiles away! Summer finds the missing iPad under some washing and Gemma reckons that it is only a matter of time before Paul does something. 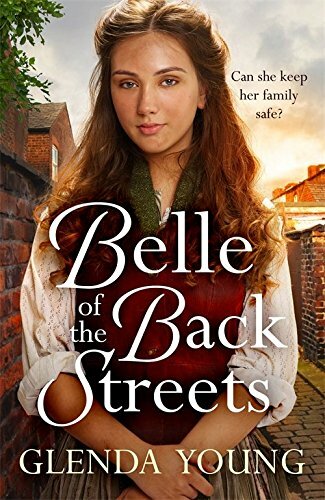 She explains the back history to Chesney and Emma when Paul took the blame for her nefarious misdeeds; but sibling rivalry often goes far deeper than that. 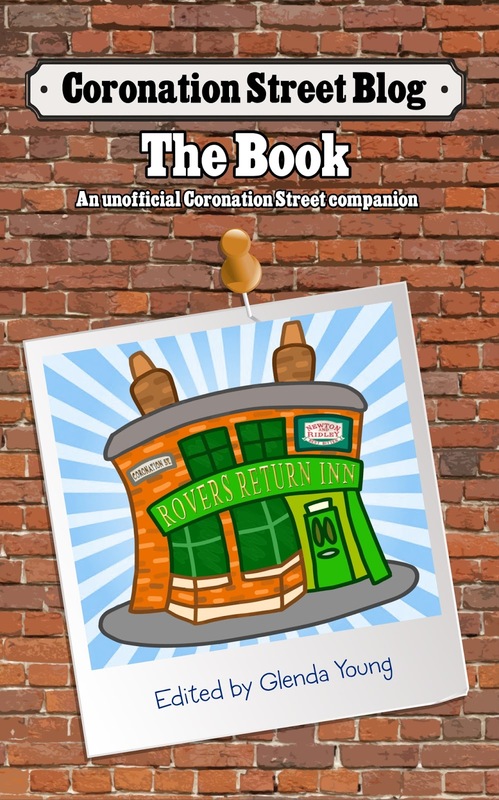 The "Reet" - Rita Tanner - has a fistful of problems to address, 35p which Paul gets out of paying, a message relayed by Mary that Norris needs capital to go travelling with Emily and Freda and has announced his intention to once again sell the Kabin plus the non-appearance of Jenny behind the bar counter. As Rita tells Brian she is wise enough to realise that any new owner will simply not want her to continue in the Kabin so she will be out of work. When Jenny fails to appear behind the bar R'Rita bustles into the back room and gives her a lesson in landlady duties - no surrender (above) - get your slap on and serve the punters. Jenny heeds her wise words but backs it up with a dose of white wine courage! Which just about wraps it up for this week. Ms Kelstar should be in this slot next week. Written by Owen Lloyd-Fox and directed by Simon Ferguson.